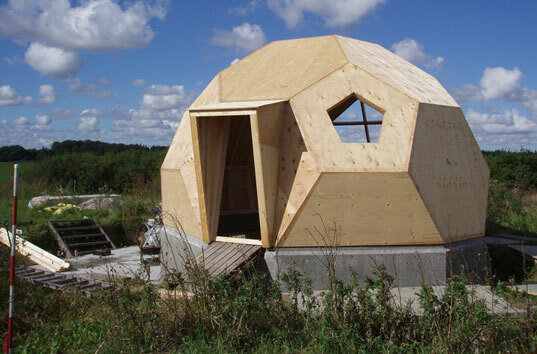 Echoing the structures of Buckminster Fuller’s Geodesic Domes, Danish Architect Kári Thomsen and Engineer Ole Vanggaard have created Easy Domes, a series of quick assembly, low-energy homes! 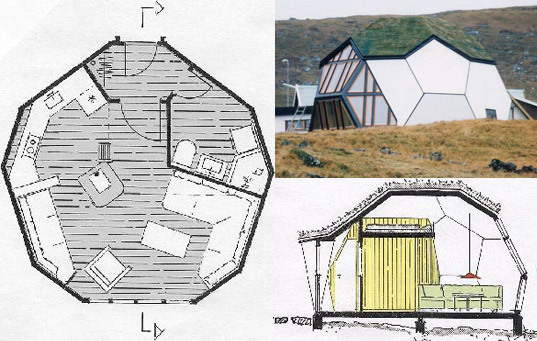 Following the success of the first Easy Dome home built in 1992 for the Greenland Society on The Faroe Islands, a number of dome-shaped cottages were erected as tourist getaways. The unique shape of the Easy Dome, called an icosahedron, is designed to optimize the amount of interior space inside each home. Made up of several hexagonal pieced together, the dome hosts a wealth of interior nooks and crannies, making it stand out from other prefab home designs. 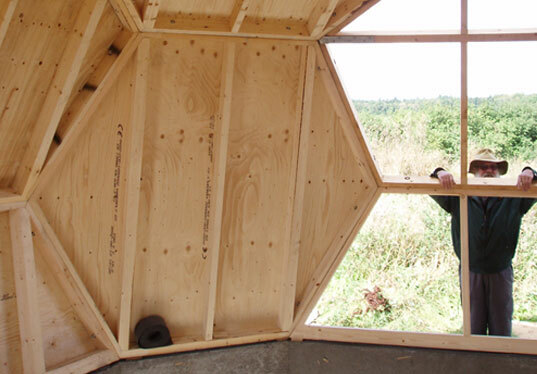 The dome offers individuals the opportunity to build their own high quality homes, coming with pre-built wooden sections, ready to assemble on either a concrete or timber plinth. Once on site, the dome houses take only one day to raise and seal, and for domes less than 500 square feet, no crane is needed to complete construction. The load construction is extremely strong and built for extreme weather, including wind speeds of 200 mph with one meter of wet snow on the roof. With a minimum use of materials, the domes are sustainable, energy efficient, spacious and cost-efficient. There is also the potential to erect two or three domes together. Publicado por ekuazion en 2:16:00 p. m.